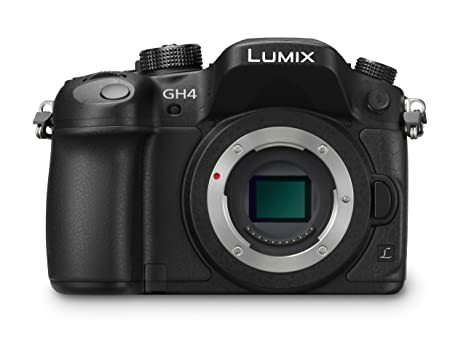 So today is the morning after the big Panasonic GH4 rollout - but I still have that "not quite satisfied" feeling. Today, most news sources and the camera "commentariat" are putting out positive stories on this camera for video - and yes, it is a revolutionary 4K interchangeable lens camera at its (presumed) sub-$2000 price point - but, it seems to me that for low-budget cinema shooters, Panasonic has missed the mark with this camera - in a very significant way. With the GH4, internal recording (both 4K and 1080p) is limited to 8 bit 4:2:0 and 100mbps or 200mbps depending on resolution. And for 4K, it needs a relatively expensive microP2 card to capture 8 bit video. If you want 10 bit 4:2:2, you are forced to buy an external recorder. Well, there goes the "4K for $2K" value proposition. 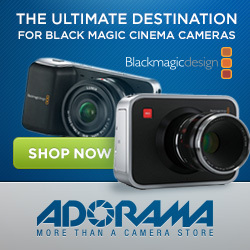 My little $995 Blackmagic Pocket Camera records 12 bit 4:4:4 RAW internally to a $120 card. And 10 bit 4:2:2 ProRes internally to cards that cost even less. I don't know much about Panasonic's new codec, but it is likely require some transcoding to get it into an edit-friendly format. (EDIT: the 4K codec is Quicktime .MOV, which should not be a problem in post). A decent SSD for the $3995 Super 35 Blackmagic 4K Production Camera will cost less than the Panasonic microP2 card, and the Production Camera records 10 bit 4:2:2 ProRes in camera. This camera is looking better and better. That said, the Production Camera is a little out of my price range - so I still plan to sell all of my earlier model GH cameras and buy the GH4. I will probably rent a 4K recorder when I want to maximize my flexibility in post - but I had very much hoped for a "Blackmagic-like" gradeable LOG image straight out of the GH4. Looks like that's not going to happen. If you want to be notified when the GH4 is in stock, or of you want to go ahead and pick up a Pocket Cinema Camera for gradeable 10-bit 4:2:2 straight out of the camera, you can click on one of the links above or the display ads below.